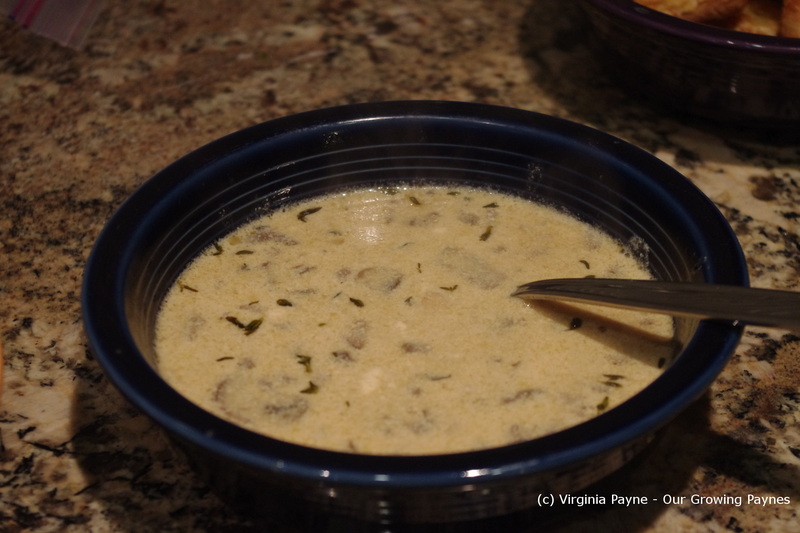 I was looking through my “pins” and came across this recipe for Mushroom Soup and thought it would be nice to make for dinner. I didn’t have cream and decided to tweak it for our tastes. There were a couple of speed bumps but in the end it was a lovely soup which I’ll make again. 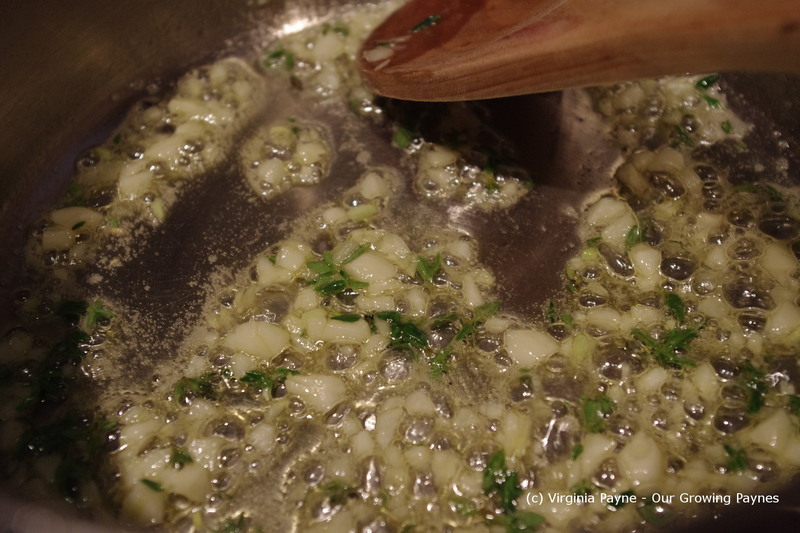 To start I minced about 3 cloves of garlic and about a tablespoon of fresh thyme. 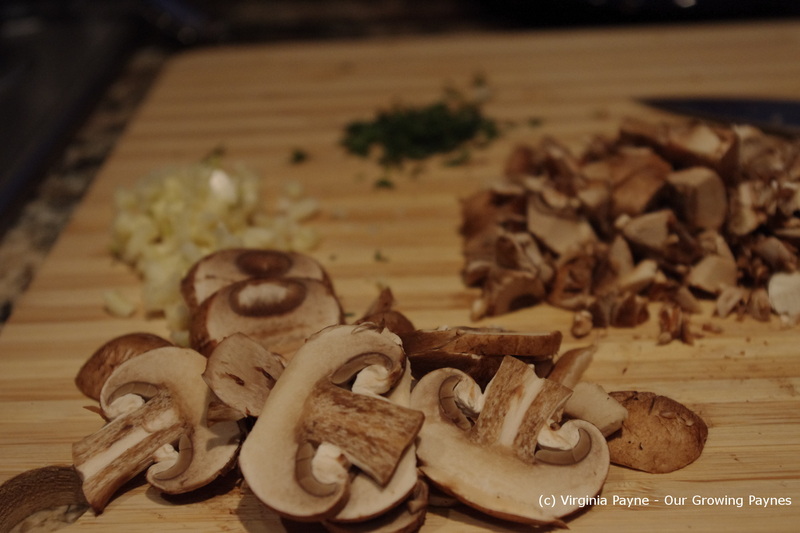 Then I took about 2 cups of mushrooms and chopped them. I kept some sliced and then varied how chopped up the rest was for texture. 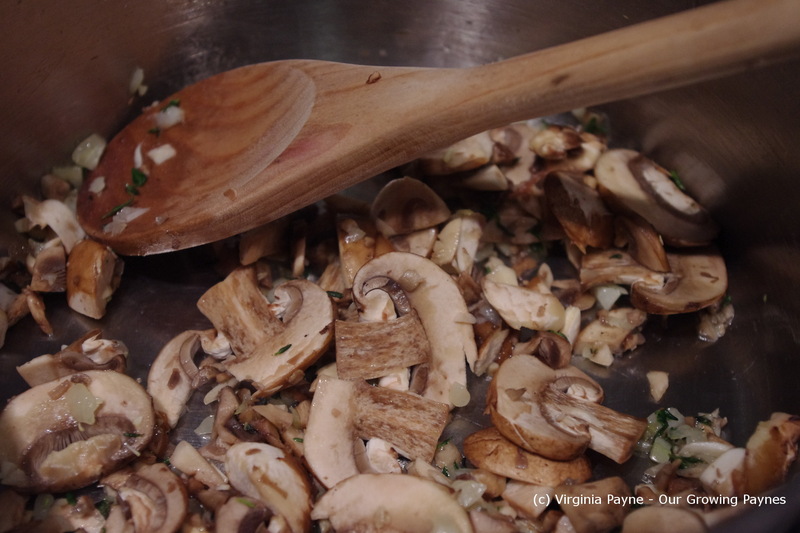 I used a bit of olive oil and about a tablespoon of butter to saute the garlic and thyme. After a couple of minutes toss in the mushrooms. I allowed them to brown a bit. 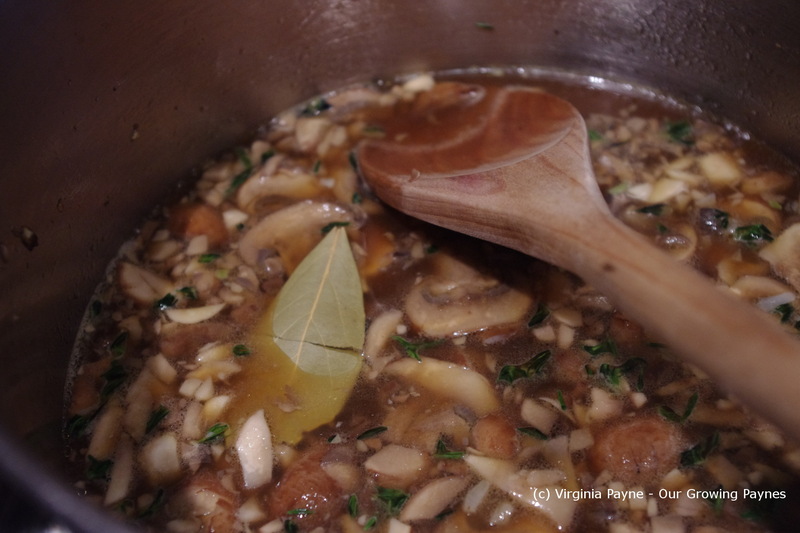 Next I added 1 cup of vegetable broth, 1 tablespoon of Worcestershire sauce, and a bay leaf. I brought this up to a simmer. Now here comes the first speed bump. I should have listened to my instinct but for some reason I followed the recipe here. 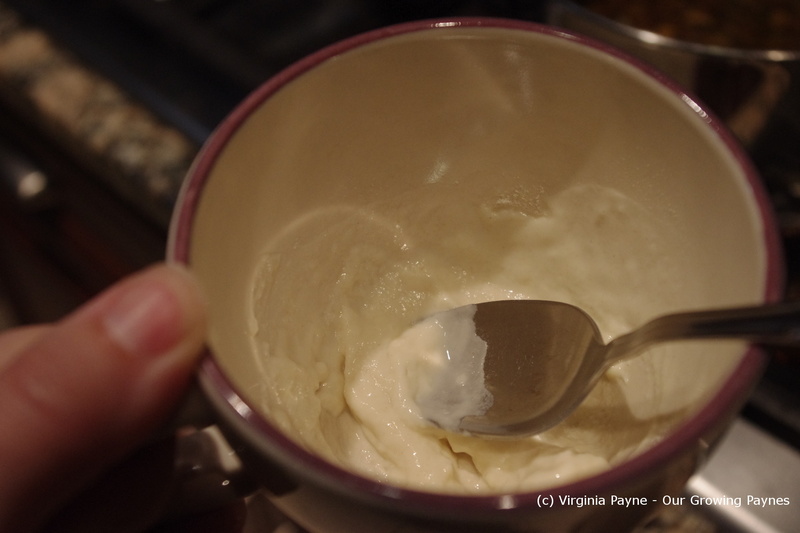 It called for dissolving 1 tablespoon of flour in 1 tablespoon of water. I thought this weird but did it anyways. I put it into the soup and got lovely clumps of flour. Sigh. I managed to work in most of it. What I should have done was taken a few tablespoons of water for this. Next I added a full cup of 2% milk as that is what I had. 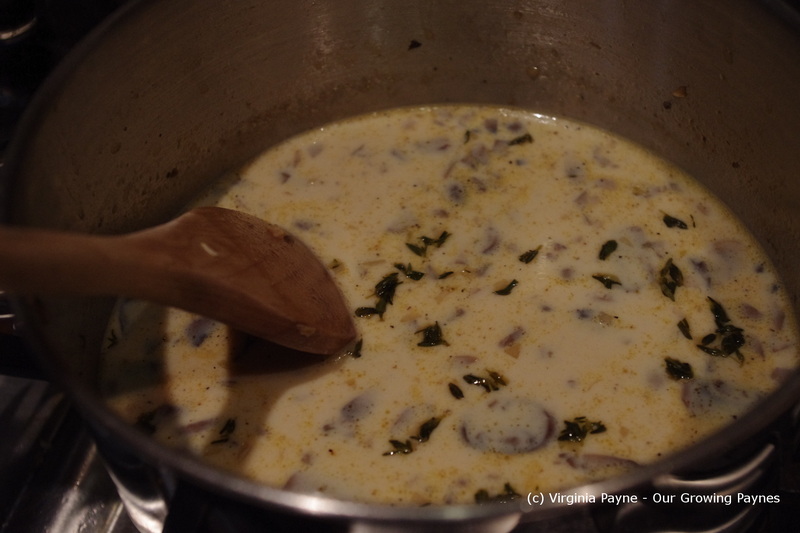 This soup would work with cream, I mean what wouldn’t, but we don’t always need the extra calories. At this point I tasted for seasoning and it didn’t need any salt so I just added a bit of pepper. My second speed bump came when I was reheating it at dinnertime. I turned my back to do something and it boiled. Facepalm. So while the flavours were there it did come out a bit grainy.